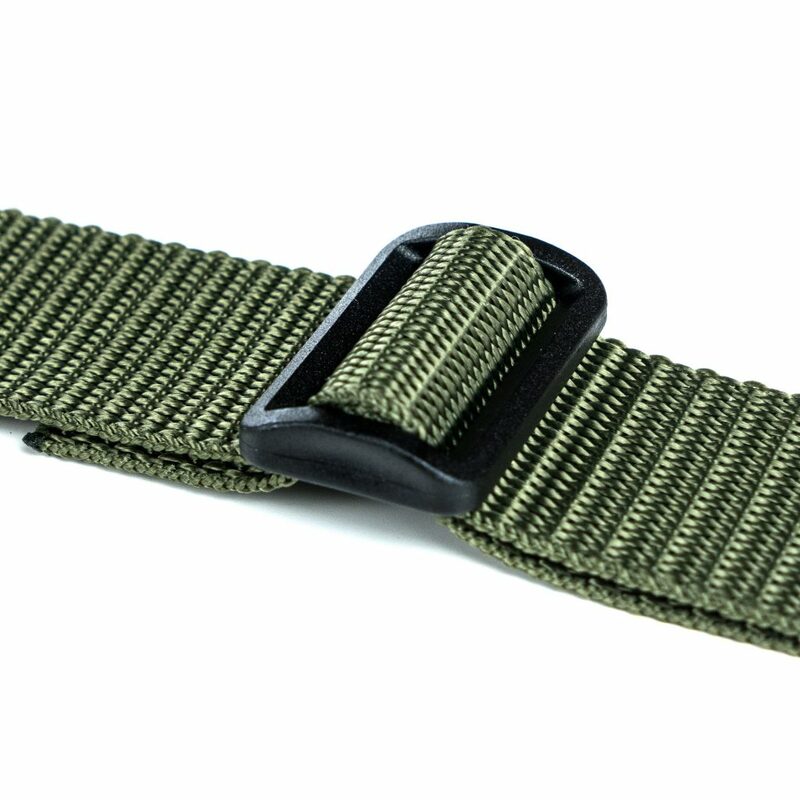 No fancy unnecessary buckles that tangle up in your gear or press into your flesh. 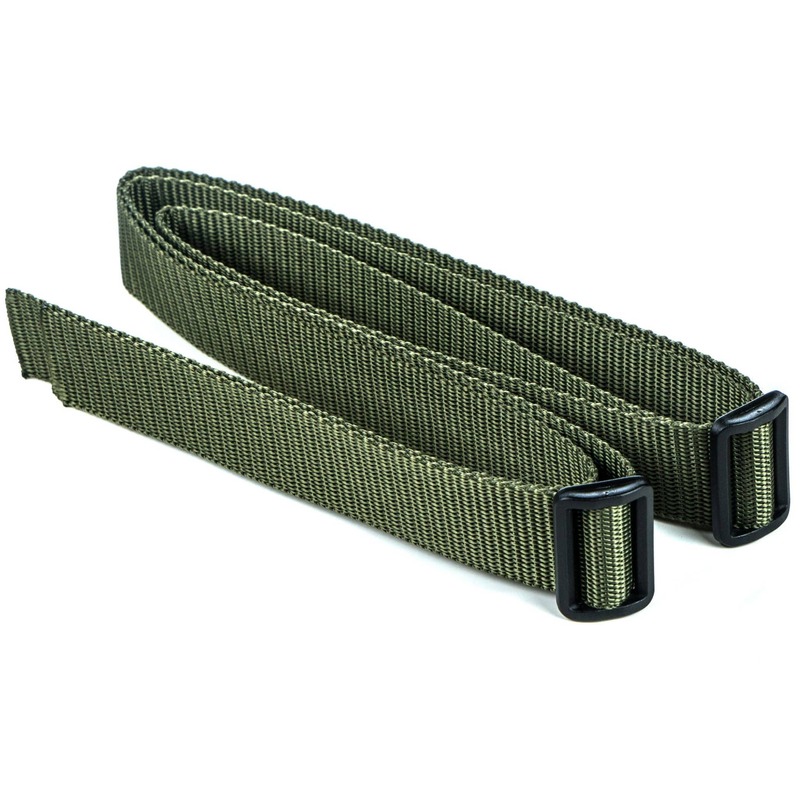 Due to the few components the sling is reliable and durable. 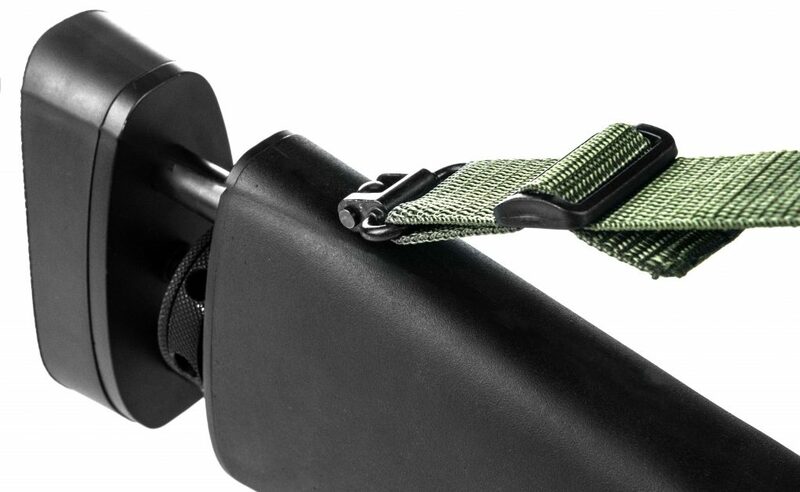 The sling is directly looped through the sling swivels. Since no plastic or metal is touching each others - the sling will not make any noise.